T has always been a stickler for routine. As soon as 6:45pm hits, he mentally gets ready for bed. He starts to yawn and becomes less tolerant of our pathetic attempts to make him laugh. If we’re not even close to him being ready for bed by 7:00pm the next 10 minutes are hell. On the same note, T has also been very good at triggers (if we get to him before he starts telling us!). One un-clip of my nursing bra and he knows it’s feeding time. Likewise, as soon as he’s put in a sleeping bag, he knows it’s bed time. The only issue we’ve had with our previous sleeping bag, although it’s not actually their fault, is that T is always too long. If we get a bag for his age range it’s perfect at the torso but not the legs. Although I’ve always preferred sleeping bags to blankets, it’s always been a struggle to find one just right. With this, we often find him in a (cute) heap, frogged legged at the end of his Moses basket because he still needs to sleep at an angle. 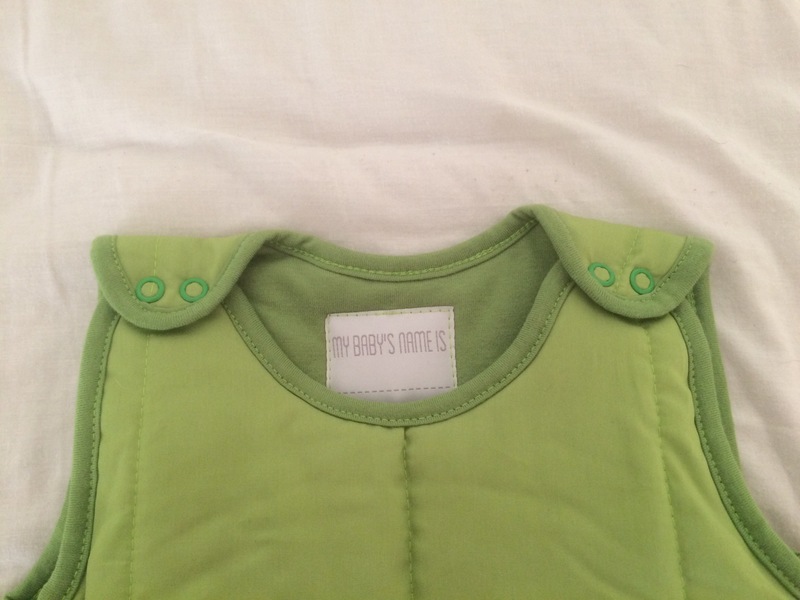 Since coming across ‘My Baby’s Name Is’, who make really simple sleeping bags, we’ve found they’re perfect for T.
The sleeping bag he has is not only light and soft, but the length is very generous. There are poppers at the shoulders to adjust accordingly and a thick zip at the bottom. T is currently 4 months old and the neck fits him perfectly. I don’t see him growing out of this one for quite some time! 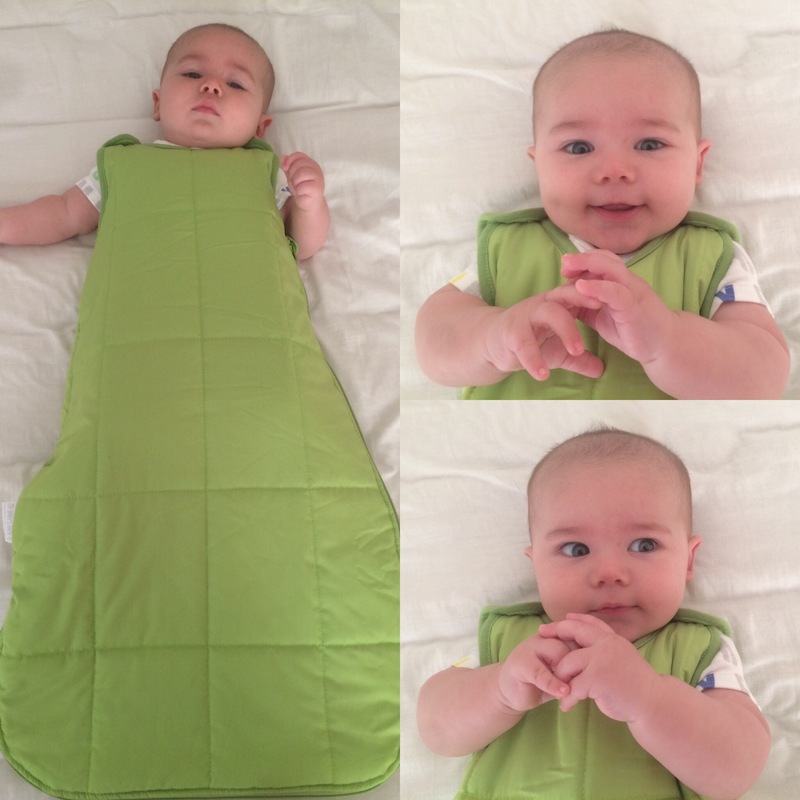 The sleeping bags come in a choice of bright colours and togs and range from 0-6 months, 6-18 months, and 18-36 months. T is currently wearing a 0-6 month, 2.5 tog sleeping bag and on chilly nights it’s kept him warm but not made him sweaty by the morning. He’s also been found happily kicking in the sleeping bag as if he’s just found his legs! 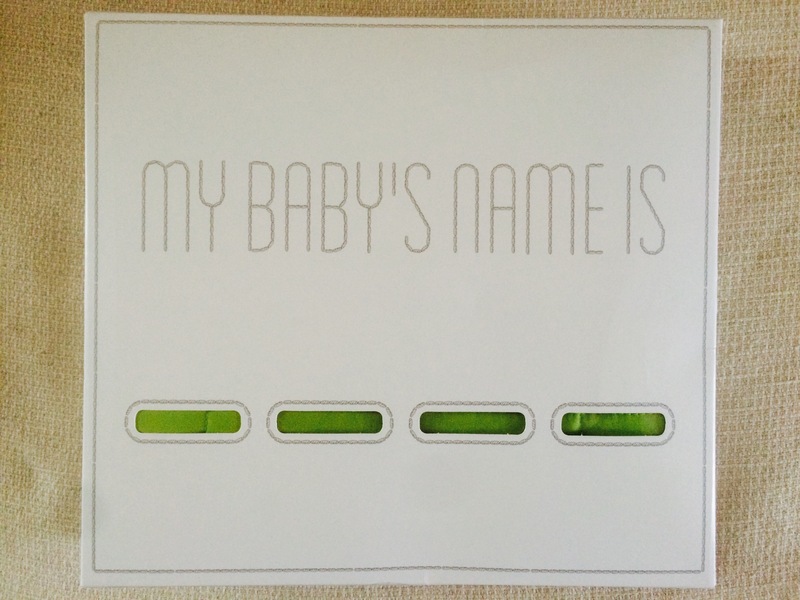 What I like most about ‘My Baby’s Name Is…’ is that their designs are really simple, including their boxes, taking everything back to basics and purely about comfort. The company itself is run by husband and father Syzmon, and after years of working as an accessories designer he decided to start his own business after becoming displeased with current sleeping bag market. Once his daughter was born (who also modelled and tested their products!) he really took to work in making something he was 100% proud of; and you can tell. Everything has been tested meticulously and the fabric is of the highest quality. Unless the weather changes, I won’t need to shop around when T grows a few more inches. The neck and arm holes fits him perfectly, not to mention the length! This will probably last him a good few more months, if not more. We’ll also be taking this on holiday at the end of September to an expected chilly caravan! We were kindly given this sleeping bag for the purpose of the review, however all opinions are our own. 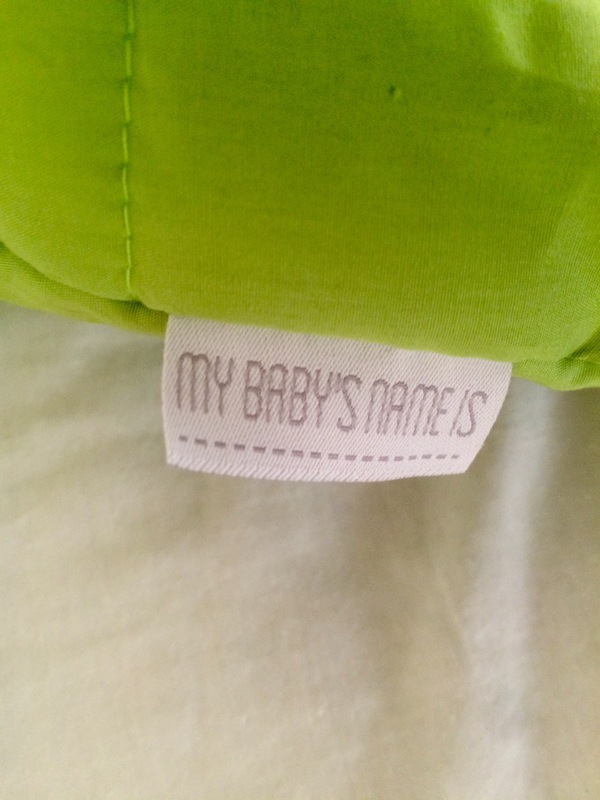 I love baby sleeping bags. Where can these be purchased? ?